My mother took a good amount of pictures long ago, and, bless her heart, kept them. In recent years it's been fun to look back at these images of things I only dimly remember--or that happened before I was born--and yet seem so familiar. 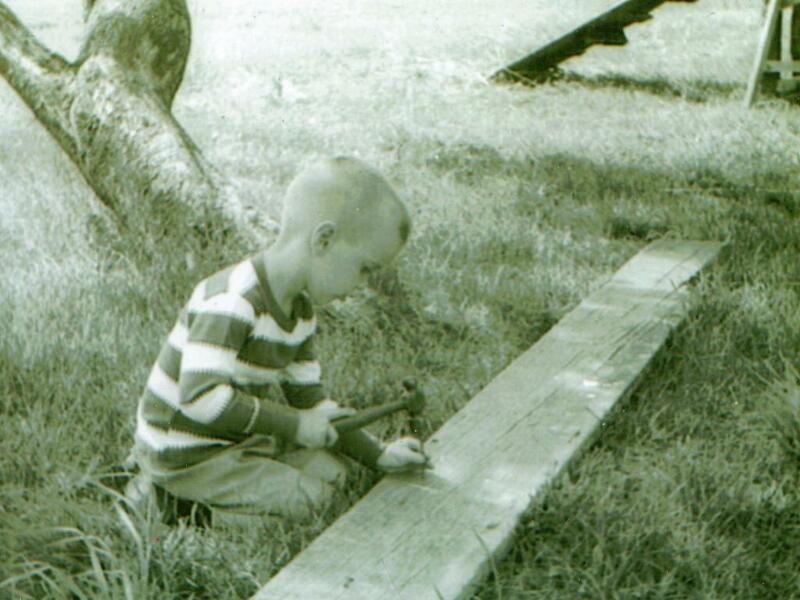 Me on that toy tractor 40+ years ago...could have been my own children just a few years back. 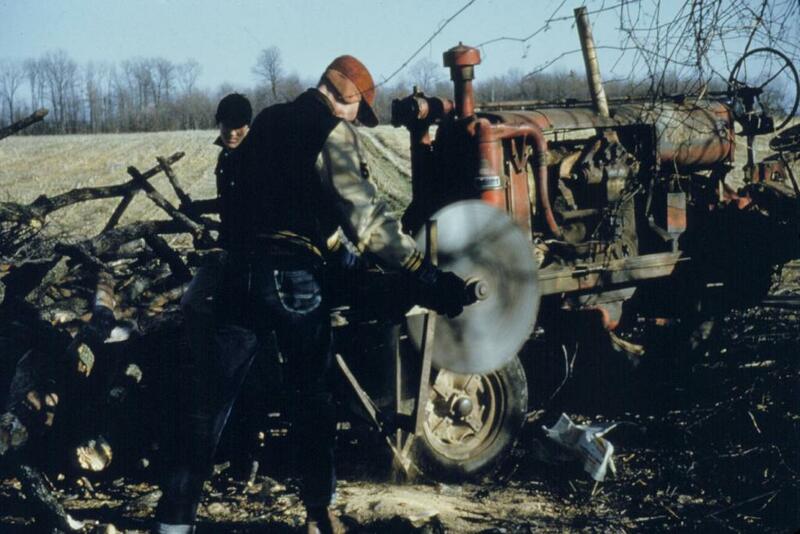 And real photos of Dad's F-20, source of my inherited Farmall loyalty! 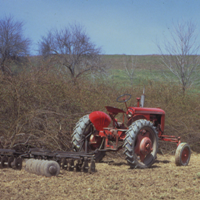 The tractor itself is now long since lost track of, but it lives on in spirit in my father's memory. My mother is now a partner in a small business that helps people create books to preserve their own family stories. Visit the Storehouse Collection of Memories for information. 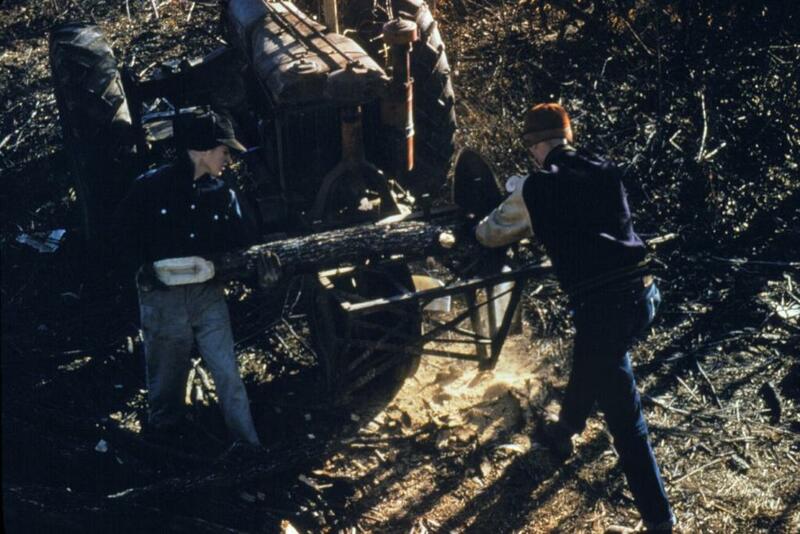 My dad and a friend of his in late 1958, cutting up a fallen tree with a buzzsaw mounted on his F-20. 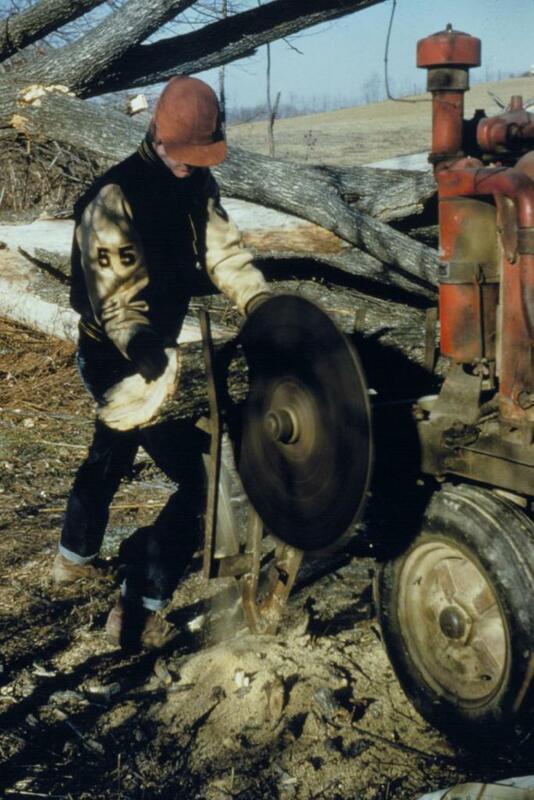 Cutting wood this way may not win the OSHA seal of approval anymore. We moved around a bit when I was very young, but the first place I remember living was a rented farmhouse in Anna, Ohio. My dad built "the climbing thing" in the backyard, with my earnest assistance. The farmer who owned the place still worked it, and I loved watching the activity. One day in about 1963 or so, I backed my wooden tractor up to this elevator while my older brother supervised from his tricycle. 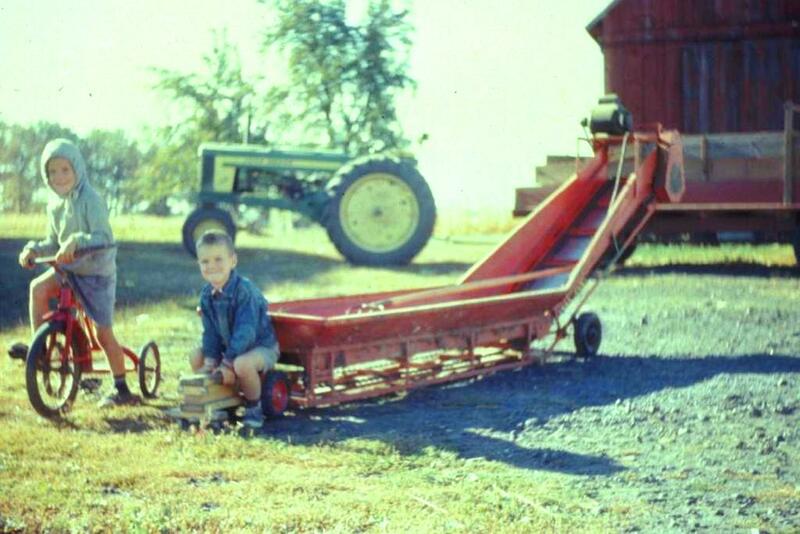 Dad driving our 1948 Case VAH in 1969, with me on the drawbar. 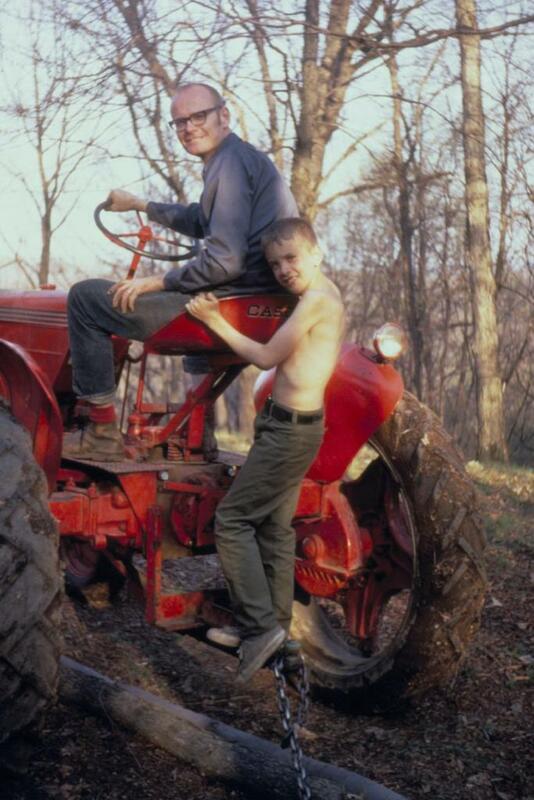 That Case was a good, hardworking, reliable tractor, and handled all our chores for many years. 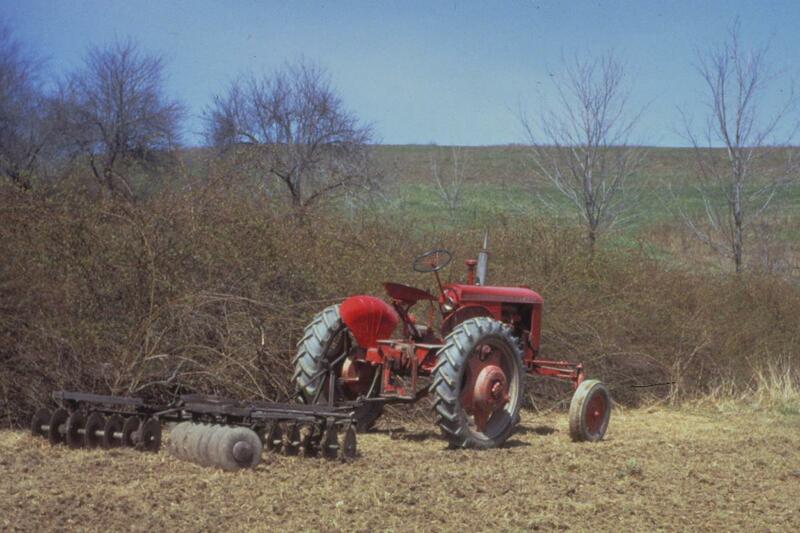 Dad sold it to a neighbor in the early eighties, and I bought it back and returned it to the farm in 2006. The VAH and our old disk, in early 1973. That big hedgerow of multifloral roses behind the tractor had been there for years, and it took us years to get rid of it. 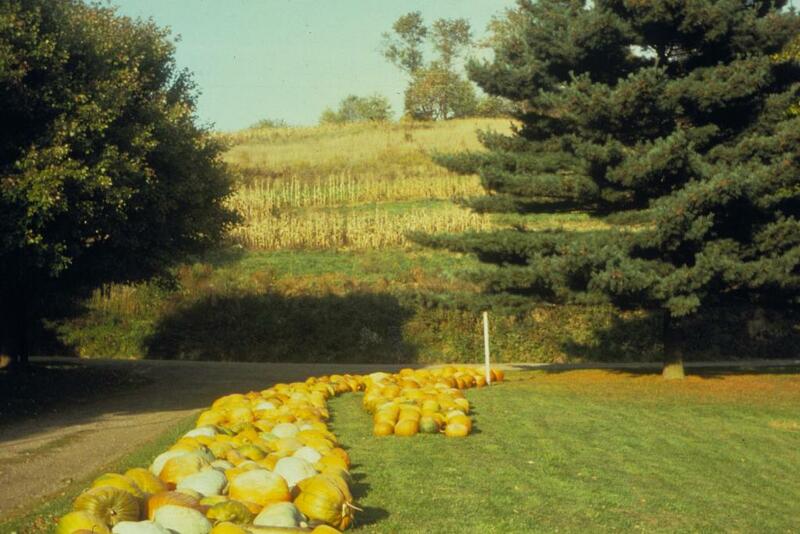 Part of the pumpkin crop in 1974. For a hilly little farm with not much equipment but enough manpower (young teenagers), pumpkins made a good crop. The planting and hoeing kept us out of trouble during the Spring and Summer, and the paycheck came in one big chunk at Halloween. A couple of hundred bucks sure seemed like a lot of money. 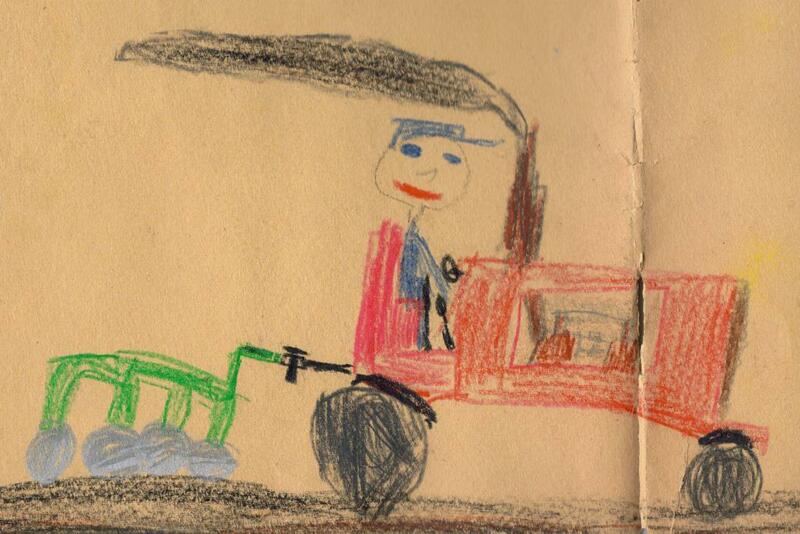 Self-portrait of the artist as a farmer. I found this drawing in a folder of some old stuff my mom sent me. I must have drawn it in the late 60s sometime. 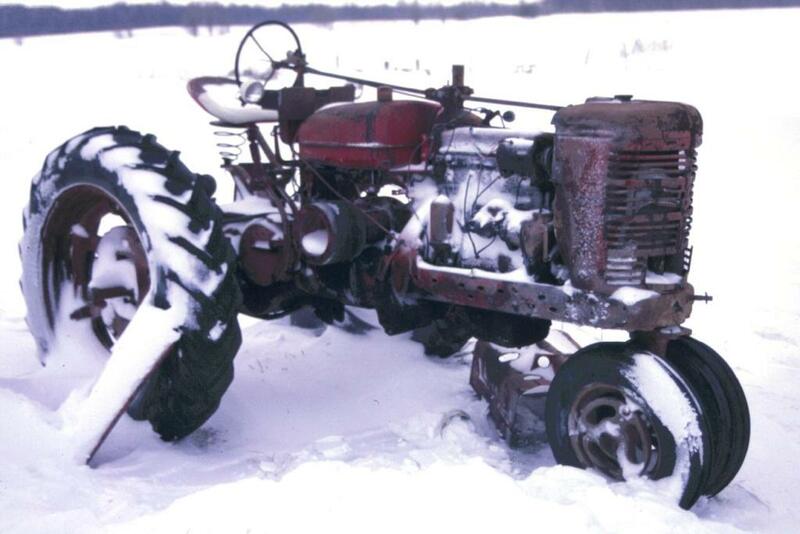 An M Farmall waits for restoration in Modoc, Indiana, in January 1999. The gentleman I bought my John Deere 3020 from had this tractor in his lineup outside. I imagine it's fixed up and back in service now, and I'm glad there are people who keep these old machines from all rusting into nothing.